As Eastern Catholic Christians, we are called upon to help those in need. Throughout the year we offer our talents to two organizations: St. Joseph's Carmelite Home for orphans in East Chicago and the St. Joseph's Food Kitchen in Hammond. See below for some of the work we have done. 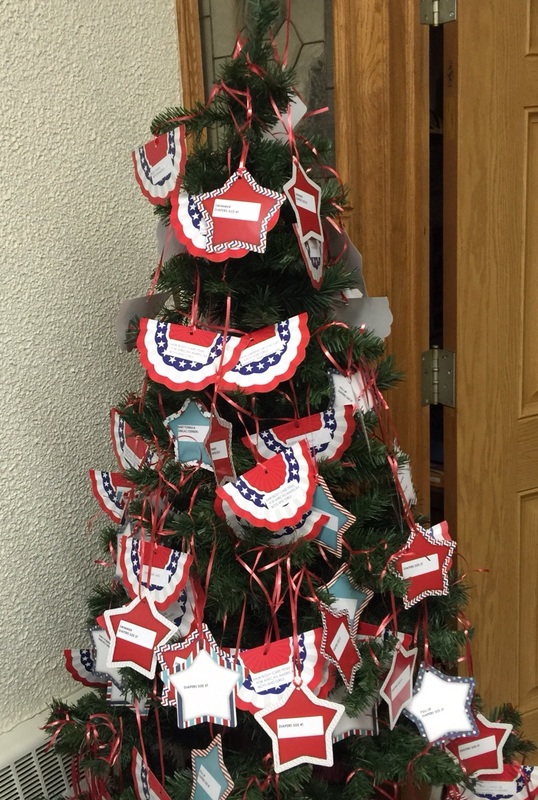 In our ongoing efforts to support the Carmelite orphanage in East Chicago, we have set up our Christmas tree filled with current needs for the children there. 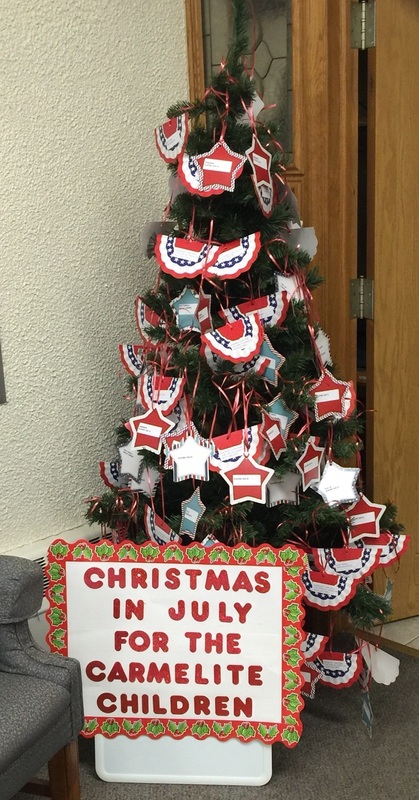 Please pick up a tag and bring your donations to church throughout July! And if shopping is a barrier, cash donations are also welcome! 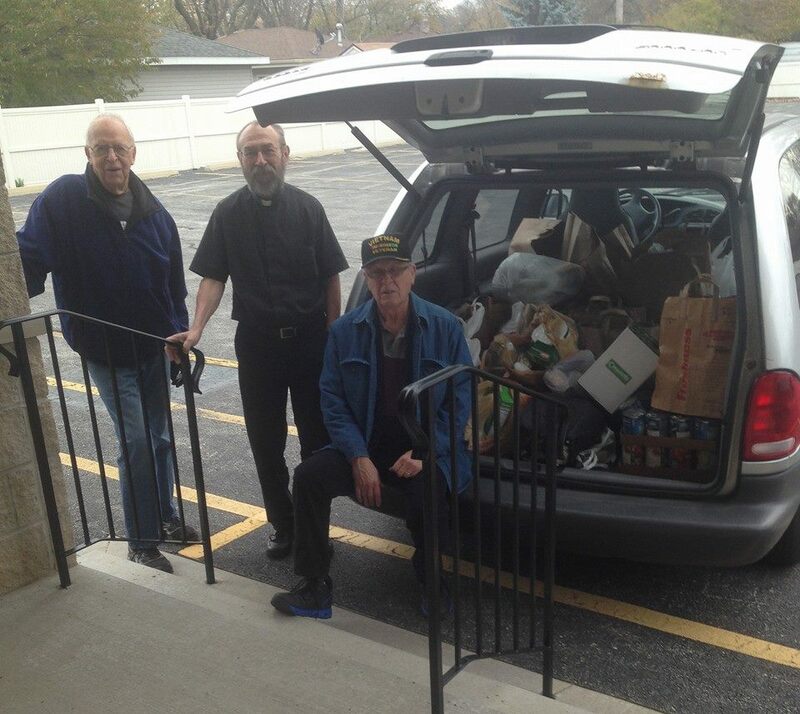 Over the course of several Sundays, parishioners donated non-perishable food items for the St. Joseph Food Pantry in Hammond. Here is Father Steve with the grateful volunteers from the food pantry. God bless all of the parishioners who gave of what they had!